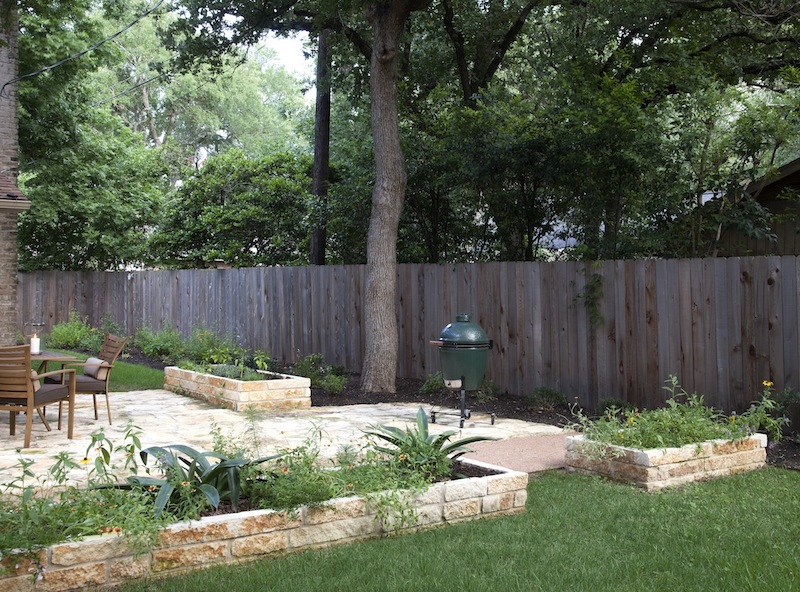 Casey Boyter Gardens designs, builds and maintains garden spaces of all intensities and scales in the Central Texas area. 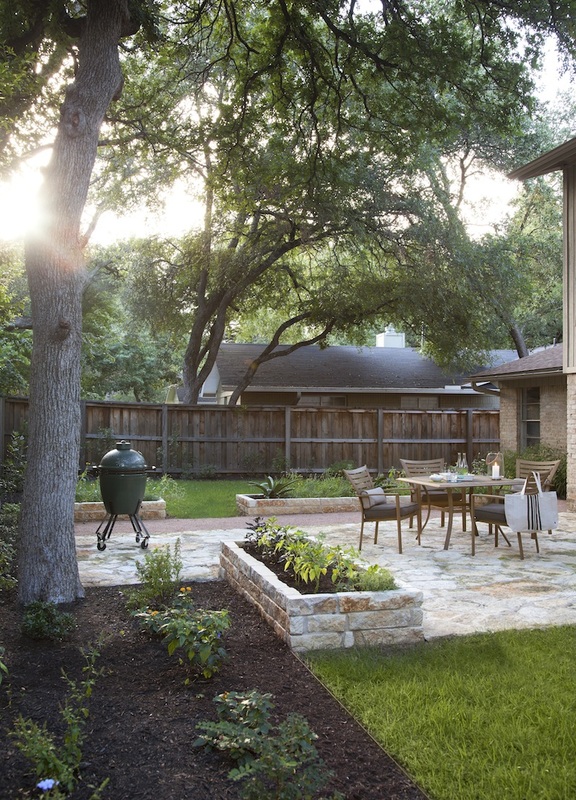 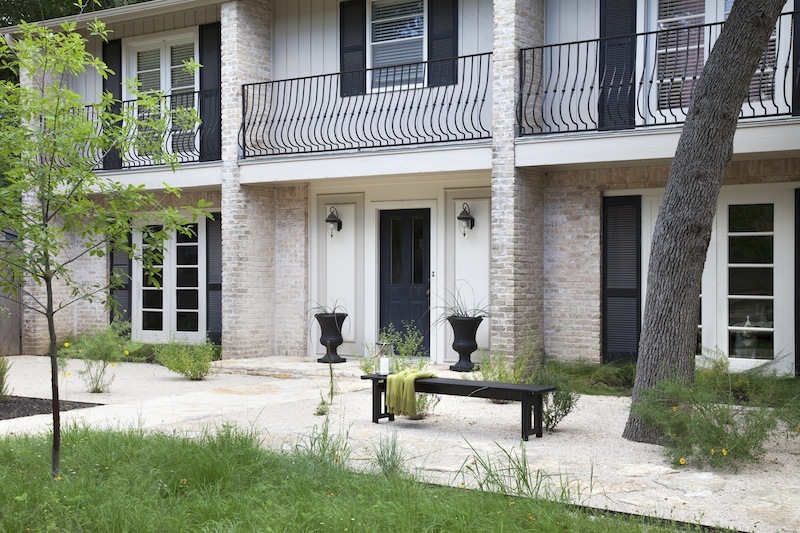 This landscape, Designed by Studio Balcones, focuses on sustainable practices, tough plantings to withstand deer and drought, and the use of plants and hardscape to frame and enhance the homes limestone siding. 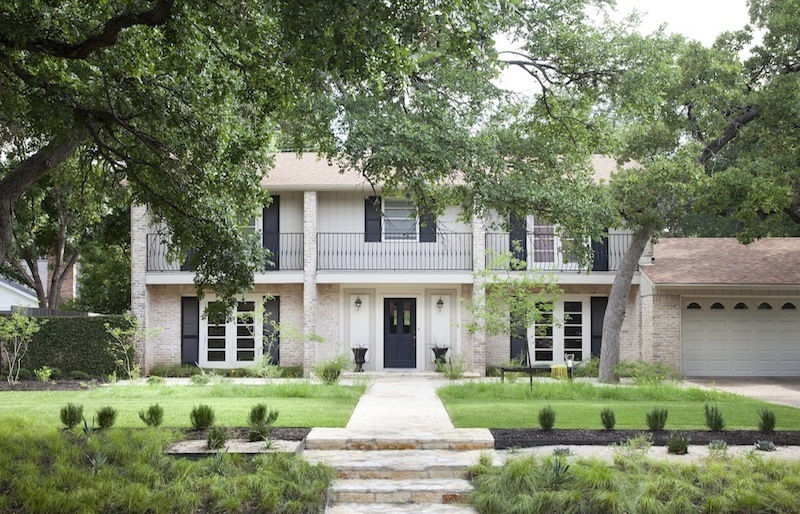 The front yard features a paved limestone walkway bisecting wide strips of native grasses, hedges, lawn and prairie, with an expansive limestone entry patio. 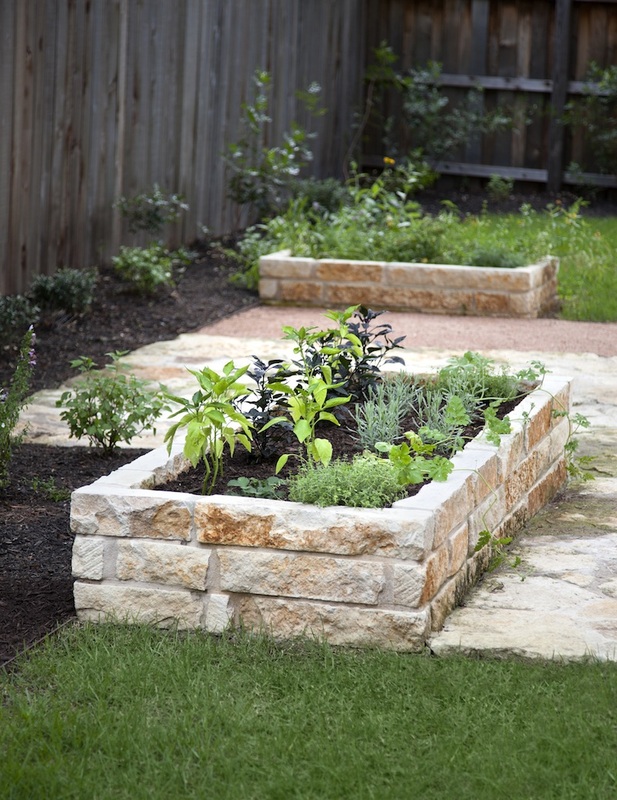 In back, we added mortared stone patios, raised stone vegetable beds and perennial plantings.